The projectiles fired from the cannons spread the net over the feeding birds, with the back edge of the net "jumping" forward for the width of the safety zone. Of course the noise of the explosion disturbs the birds, but most are usually too slow to lift off before the net falls over them. Occasionally birds will escape from the sides of the net, and those most distant from the net are able to fly out, but a successful catch can number over 200 large gulls, and up to 400 if the majority of the catch is Black-headed Gulls. 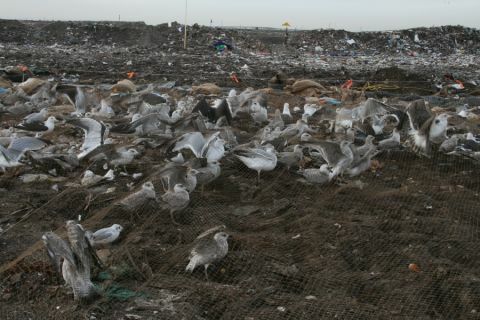 The first priority is to secure the edges of the net to avoid birds walking out and this is done by distributing the sacks of sacks (that will later be used to hold the gulls) around the net. At this time the projectiles are also disconnected from the "trace ropes" that are attached to the front edge of the net and the "jump ropes" at the back of the net are detached from their stakes. This all makes it easier to gather up the net as the gulls are extracted. Once the net is secure the birds are calmly extracted, with ringers often working in pairs - one extracting and the other providing sacks and tying them securely. Large gulls are placed one to a sack but the smaller, less aggressive, Black-headed Gulls can safely be bagged three or four to a sack. 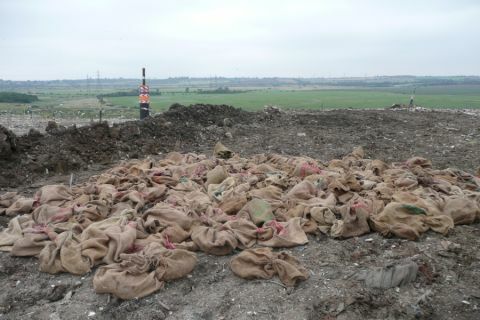 The filled sacks are ferried back to a single holding location, usually on the black plastic from which the net was fired. This is important as it is very easy to mislay a full sack if left on the rubbish. 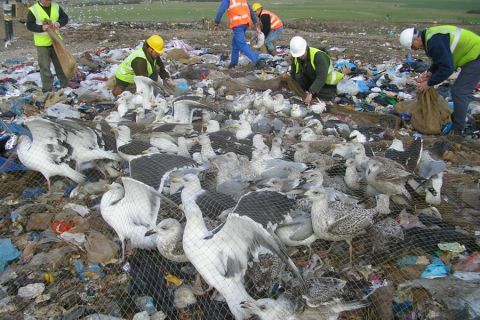 Towards the end of the process as the remaining birds congregate in a smaller section of the net, extraction can progress quite quickly and two or even three "baggers" can support one person extracting. 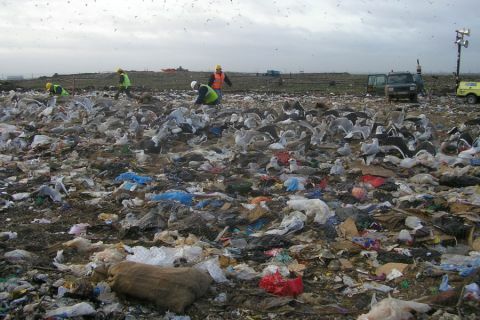 The sacks of birds are then usually moved carefully to a ringing base, away from the rubbish and sheltered from any wind. If time and the weather permits, this allows us the option of a second catch, with a small team resetting the net whilst processing of the first catch gets underway. Most times ringing is done on the tip, but occasionally we may take the birds off of the tip for processing. 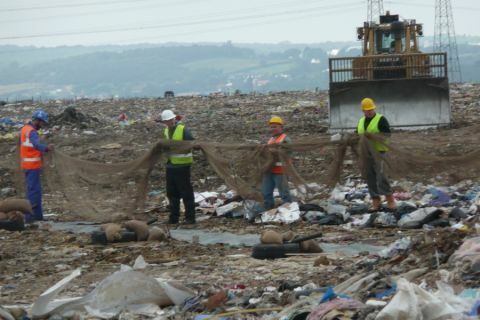 The net is then removed from the tip, and debris from the tip removed from the net. It is then furled and either re-set for a second catch or packed away. These pages illustrate the steps involved in catching gulls with a cannon net and what we do with the birds once caught.